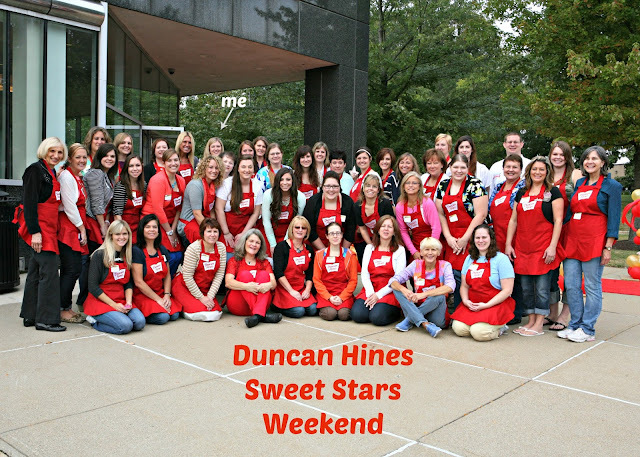 I recently got back from a fun filled weekend with Duncan Hines! 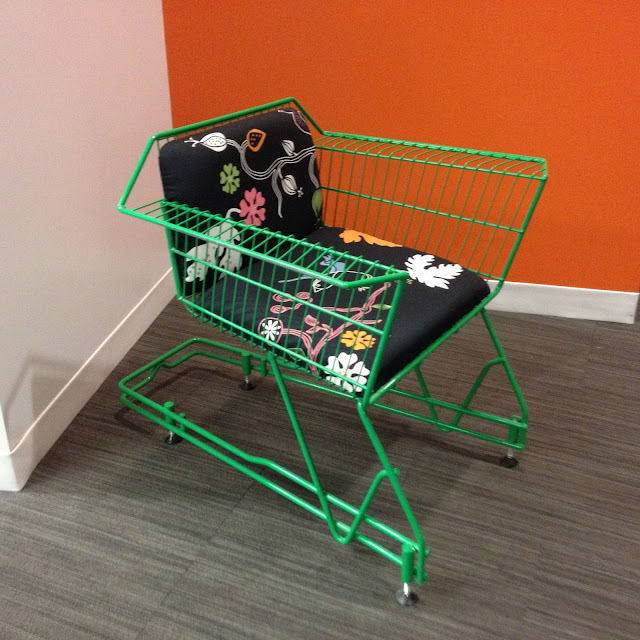 I flew up to the headquarters in Parsippany, NJ on Friday morning and flew back home early Sunday morning. 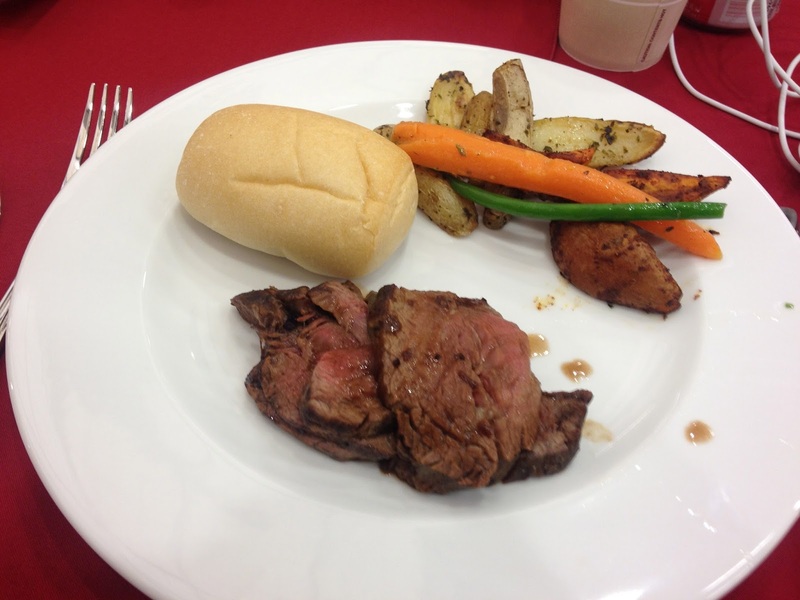 The first event was dinner on Friday night. It was held at the hotel we were all staying at. 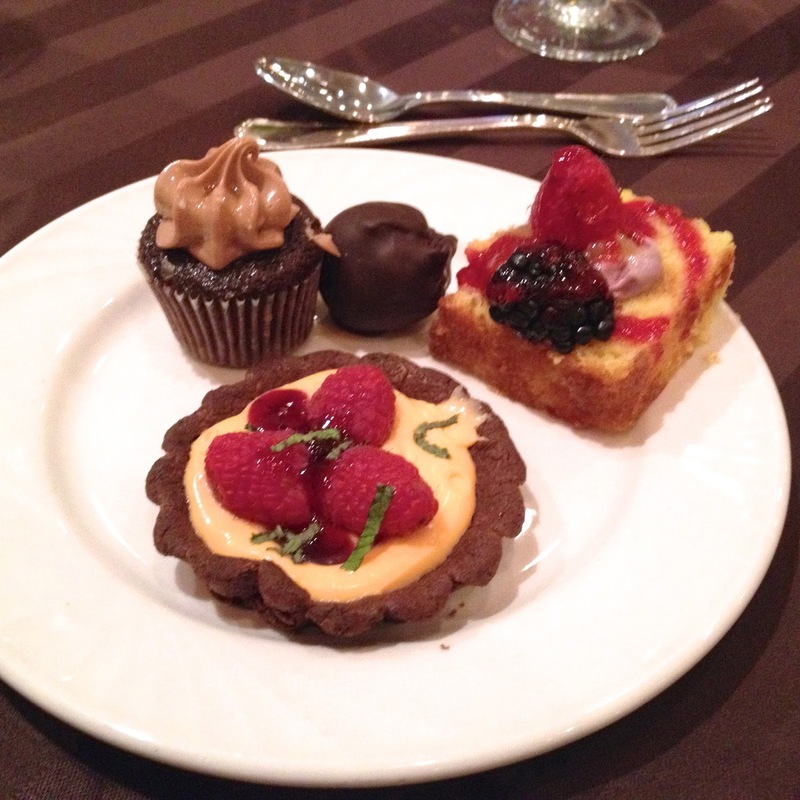 The desserts at dinner were all the baking contest winners recipes! How cool was that?! The food was fantastic, but the company was even better! Saturday morning we were off to the Duncan Hines headquarters!!!! We arrived at the Duncan Hines headquarters to a red carpet! 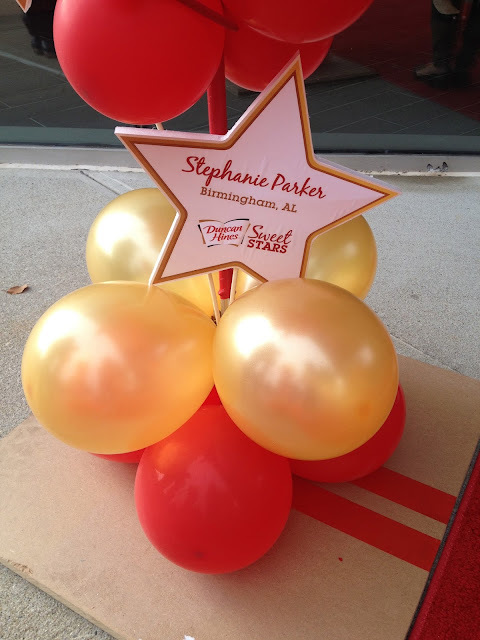 Everyone had their very own star!! 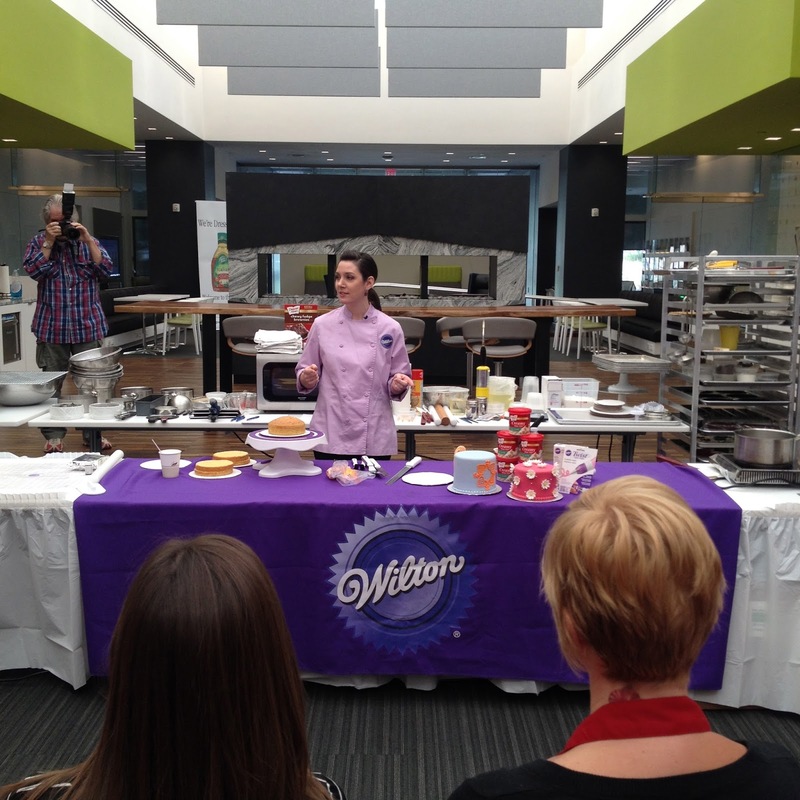 After a quick tour of the offices, we had a cake decorating demonstration from Wilton Cakes. It was so much fun. We learned lots of great techniques! On our way to lunch, I noticed this shopping cart chair in the hallway. After lunch we had the most amazing demonstration from Chef Joe. He showed us SO many delicious recipes. He is suppose to be sending us the recipes. I promise to share them when I get them! 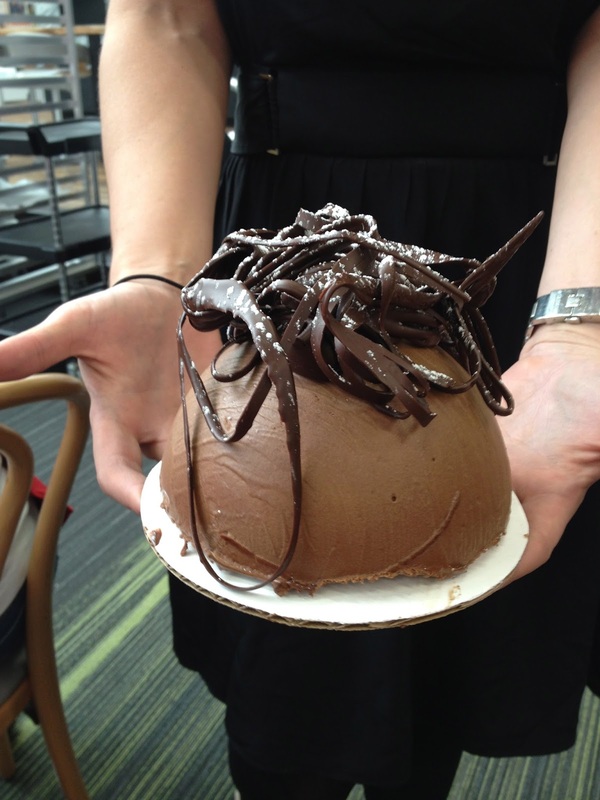 This is the Chocolate Mousse cake with some "spaghetti" chocolate on top. 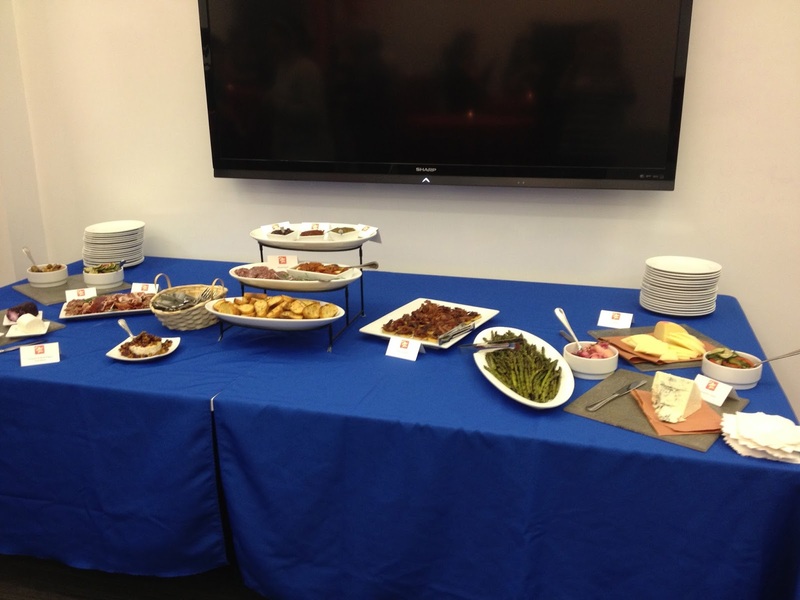 After the demonstration from Chef Joe we had some appetizers and got ready for dinner. USDA Prime Filet, Salmon, Eggplant, fingerling potatoes, sweet potatoes, haricot verts and bread. Chef Joe prepared all the desserts form the demo for our dinner. They were all delicious! I was full, but made room for a bite of all of them! I had the best time with these ladies! 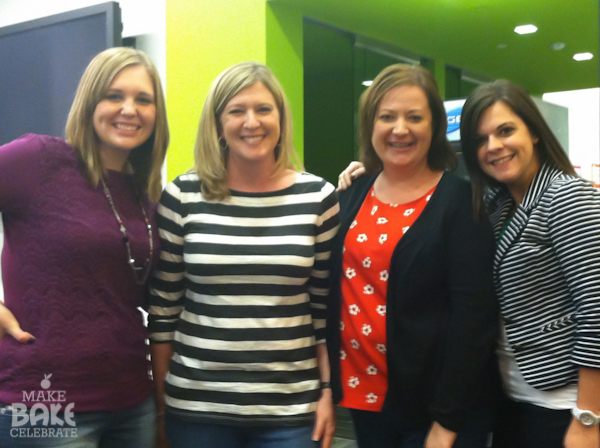 It was so much fun hanging out with Toni, Jennifer and Aimee! 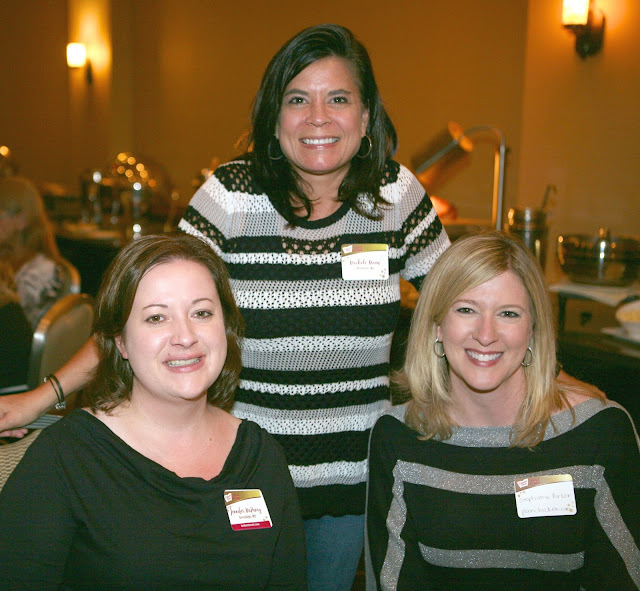 Aimee and I have already met up again and have tailgating plans for next year. Thank you so much Duncan Hines for all the sweets and the wonderful new friends! Wow!! What an amazing weekend! Can't wait to see what you create.